BALTIMORE — Adam Wyndham isn’t usually around the airport around 8 p.m. on a Friday night. That time was reserved by his two young daughters and his wife. But since the shutdown, his time at home lessened. During the day he works as a professional aviation systems specialist for Baltimore Washington International Thurgood Marshall Airport. For the last 35 days, that work has come with no pay so he picked up shifts driving for ride share apps. After 35 days the government shutdown was temporarily lifted. Wyndham and his family lost out on two paychecks that should have been used for a mortgage payment or groceries. 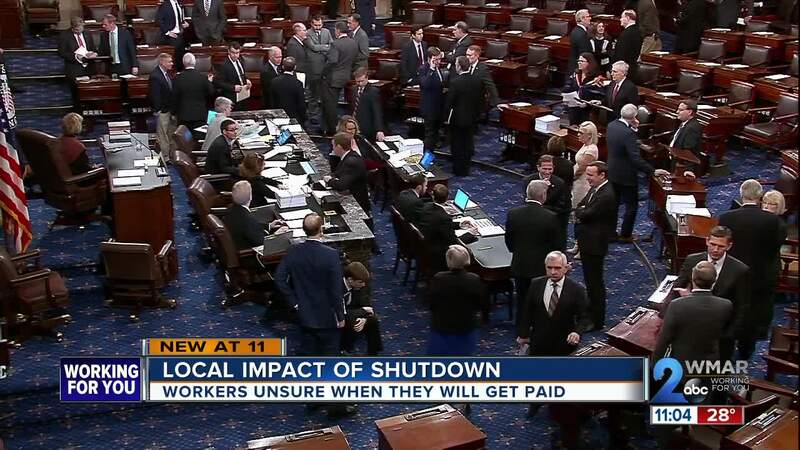 The shutdown has ended, but the backpay for the work during it still hasn’t started. A three-week temporary reopen is not what federal workers wanted to hear. For Wyndham it means more of the catch up game and driving for Lyft and Uber on his days off and when he gets out of work. He is still losing valuable time with his young daughters while he tries to keep the family afloat. Wyndham is just one of hundreds of thousands of workers who will now be stuck wondering if they will be back in the same spot three weeks from now. A temporary solution to this political staredown that is causing longstanding problems for families all over the country.